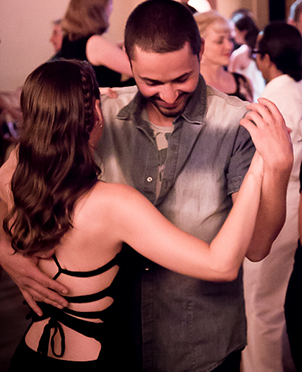 Salsa is the world’s most popular Latin dance. It is loved because of it’s music, it’s origins and it’s many dance style’s. Salsa refers to a fusion of informal dance styles having roots in the Caribbean (especially in Cuba and Puerto Rico), Latin and North America. FITZROY – SUNDAYS – Click here and check out Fitzroy Classes video. This class breaks down the rhythm and timing, basic footwork variations and leading/following fundamentals, with basic turn patterns at a slow pace. This class can also be used as a revision or warm up for the beginner class. This level is not for first time Salsa students, to enter this level you must have previously completed at least 4-6 lessons in Salsa. With an emphasis on timing and more leading and following techniques, this is a faster-paced class with weekly easy to learn moves. Requirement: First Timer level or understanding of Basic footwork, timing & turn patterns. Once you are ready to move up to Intermediate level, we offer Intermediate and Advanced at the Night Cat on Sundays. • Save $$$ with a Dance card, visit our BUY ON-LINE page. • Our classes are structured so that you can start at any time throughout the year and you can come & go as you please. • No partner or bookings required. • The dress code is smart/casual. • Ideal footwear for ladies- a medium to high heel. • Ideal footwear for men – leather or hard rubber sole shoe.